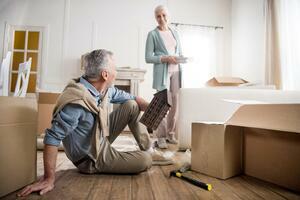 Downsizing can be a way to improve your quality of life and boost your retirement income. You can move into a home that better suits your physical needs, and in a location that is closer to the things you enjoy most. The potential profit from selling your current home and the savings on home-related expenses can help grow and preserve your nest egg. Here are downsizing tips to follow so that moving into a smaller home doesn’t turn into a big mistake. Often, the key factor when choosing where to live is proximity to the people you love and/or things you love to do. Social interaction can help create a healthy and fulfilling lifestyle. It’s why many parents follow their adult children. And, it’s why many older adults are attracted to college towns, which offer many cultural and educational opportunities as well as top-notch medical facilities. Living near family, friends and cherished activities has potential financial benefits, too. For one, you are likely to spend less on travel expenses. Further, family members or friends can help in times of need. A more active lifestyle can also improve your physical and mental health, reducing the need for expensive medical care. Moving to a smaller house doesn’t always equate to cheaper living. It greatly depends on the cost of living in the area. For example, if you want to move to a one-bedroom apartment in New York City from a two-story home in Detroit, you can expect your expenses to rise. The reason to downsize your house is not only to shrink your physical space, but also your expenses. So, research what things cost in desired destination. If you plan on moving to a new city, use an online cost-of-living calculator, such as this one offered by Bankrate, to compare its costs and determine how well you can maintain your current standard of living. When it comes to downsizing, size isn’t the only thing that matters. How your home functions for you is just as important. If you think it’s time to downsize your house, write down what features you think are necessary to make the transition a success. Do you have mobility issues and need a home with an open layout or outfitted with ramps and handrails? 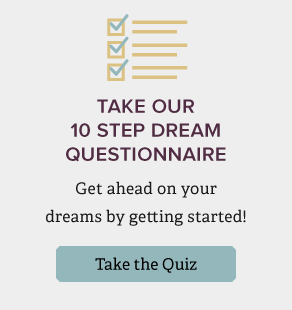 How about space dedicated to running a business, freelance work or a hobby? The key is to find a home that’s as close to move-in ready as possible, so you don’t have to spend a lot of time and money making modifications. Don’t forget all the additional costs involved when selling and buying a home. Do you need to make renovations to your current home to make it sellable? Will you have to purchase all new appliances and furniture for your new home? Also, factor in moving and storage costs. Downsizing can offer big savings over time, but you should make sure you can cover any upfront costs before putting your home on the market. If you are fortunate enough to earn a generous profit after selling your home, downsizing can increase your income during retirement. Added to your retirement savings, it can subsequently generate a higher level of income on your larger investment portfolio. Further, the lower home expenses should free up income to allow you to draw down your savings at a slower rate. Not to be overlooked, is the positive impact this money can have on any estate planning goals. Of course, moving is never an easy task at any time in your life. You have to sweat all the physical as well as financial details. A financial professional, however, can do the heavy lifting for you when it comes to managing the financial implications, if you choose to downsize your house. All the heavy boxes and furniture though, are best left to professional movers.